A common frustration among architects is that the public really doesn't understand who we are, what we do, or recognize our value to society. I hear it frequently, most recently at the American Institute of Architects's national convention. I don't ever recall hearing a reason for this poor public perception but I've come up with one that I think is plausible, in America at least. I contend that we know about most trades and professions from our interactions with the tradesmen and professionals. Most of us have had to call a plumber, hire a carpenter, or retained a lawyer. 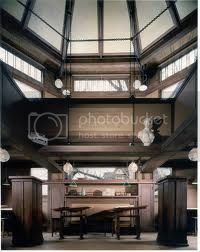 We've had close interaction with some professionals such as teachers but most have had no interaction with an architect. To fill that void we naturally defer to popular media - books, television, and movies. Even there, architects are scarce. Two architects, however who everyone knows, Mike Brady and Frank Lloyd Wright, are largely responsible of our perception of who architects are, what they do, and their value to society. This post explores the connection between architecture and perception, as perpetuated by Brady and Wright. Let's begin this exploration. Here's the story of a man named Brady..... Of course Mike Brady is one of the fictional lead characters on the wildly popular Brady Bunch television show which ran from 1969-1974. The show followed Mr. Brady and his new bride Carol through the highs and lows of daily life within the context of their blended family. Here are some things that we learned about architects from Mr. Brady. First of all, we learned that architects work "banker's hours". Like clockwork Mr. Brady walked into the kitchen and gave Carol a peck on the cheek, arriving just in time for dinner. Second, we learned that architects are financially well off. 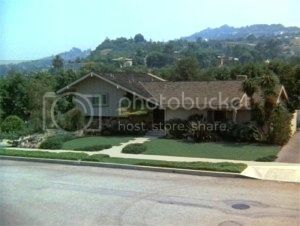 Mr. Brady was able to provide a nice house in the suburbs for he, Carol and their six children. Carol had no need to work and was able to hang around the house and chat with Alice, the live-in maid. Third, we confirm the perception that architects are on the cutting edge of fashion. The digs, the threads...all groovy! 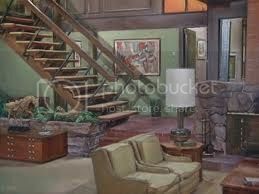 Finally we got an image of what true architecture is, by looking at Mike Brady's only known work, his personal house. See the following images. I think they speak for themselves! 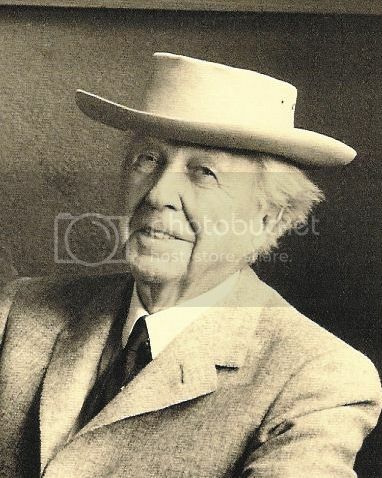 The story of Frank Lloyd Wright was largely produced by Wright himself, beginning with his shameless self-promotion in his early autobiography, which continued in written works and interviews throughout his life. When it comes to Wright, it has always been difficult to separate fact from fiction. Here are a few perceptions about architects that we've gleamed from Wright. First, we learned that architects are in a perpetual state of design and construction. Wright surrounded himself with apprentices in a commune-like existence he called his Fellowship. There they worked the land, studied the applied arts, and (most significantly) cranked out the vast majority of works that we attribute to Wright. Second, we discovered that architects lived an extravagant lifestyle. Wright was as well known for his lavish spending as he was for his moral lapses. Third, we learn that architects are obsessed with their image. Wright's larger-than-life personality was reinforced by his long silver hair, pork pie hats, and flowing capes. Finally, Wright left us with a complete portfolio to reveal what true architecture is. From his early Home & Studio in Oak Park to the Guggenheim Museum in Manhattan, his work was and continues to be, awe inspiring. Okay. Now we have a few things to consider with regard to the commonly held perceptions of architects. Brady and Wright don't really seem to have much in common and certainly don't fit the image of any architects that I know. The true persona of the architect really lies somewhere between the perceptions promulgated by these two representatives. Architects (at least the good ones) work longer and harder than other professionals. We run deadline driven practices and extended hours are just part of it. In light of this, many architects complain about their meager compensation. Few can live lavishly or have full time maids, but I'm not convinced we have it all that bad. Look around. I have to admit that most of us are fashion conscious, even if we can't wear a pork pie hat and pull it off. Finally, the public does not have to look far to see "architecture". We are responsible for much of our built environment, some of it good and some of it bad, a little of it really good and a little too much of it worse than bad. 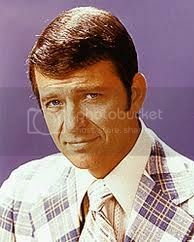 Ironically, though Frank Lloyd Wright was a real architect, he is clearly more of "character" than Mike Brady. Wright's success was seeded in his genius (I'm sure he would agree!) We will look at the connection between architecture and genius next time, in the post We've Been Waiting for You.